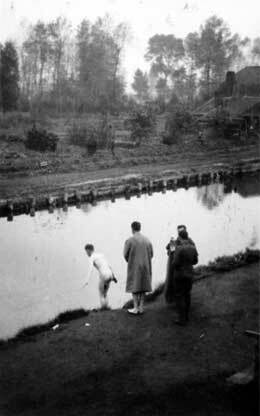 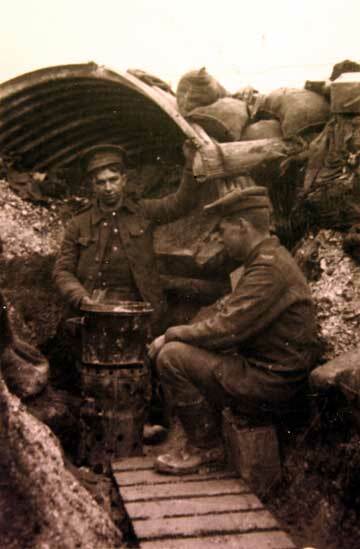 Some of these images appear in the First World War Gallery. 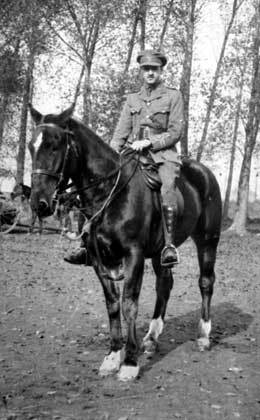 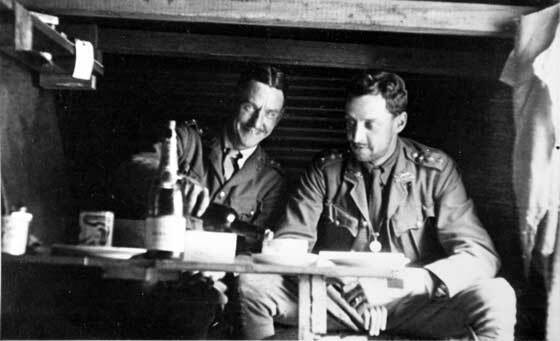 Captain Milnes (all dressed up) and Major Fawcett. 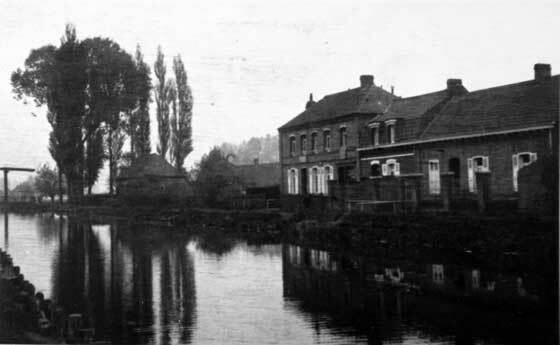 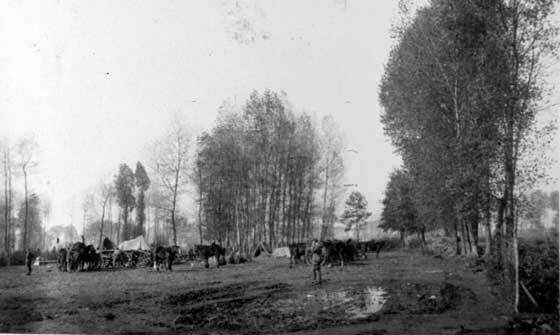 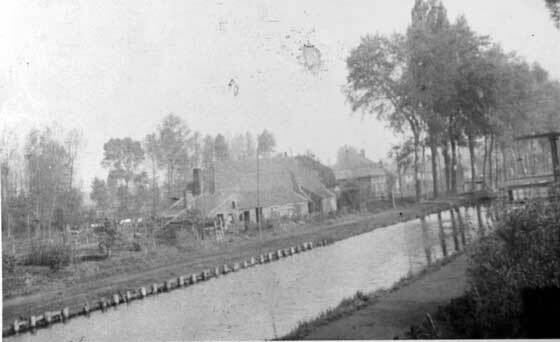 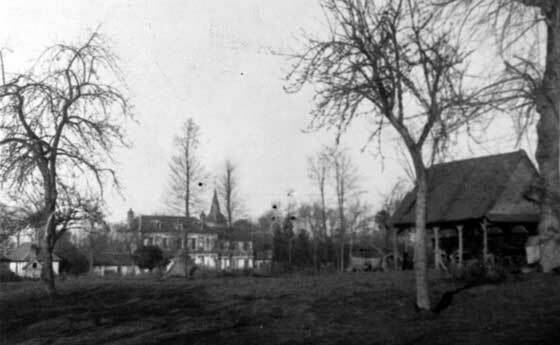 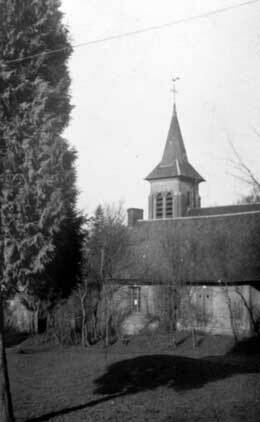 Early 1916. 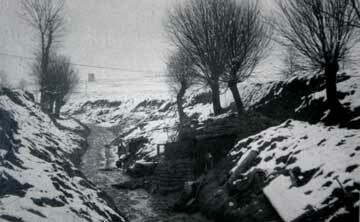 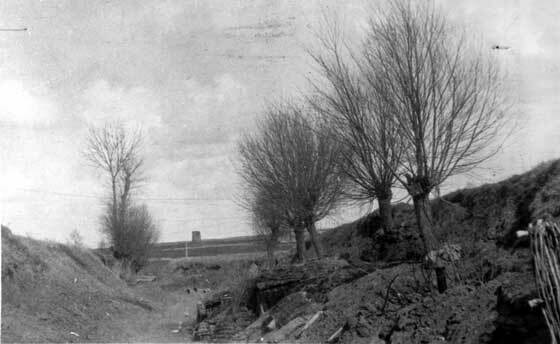 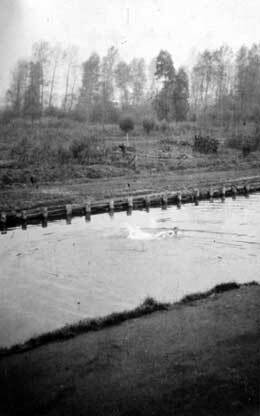 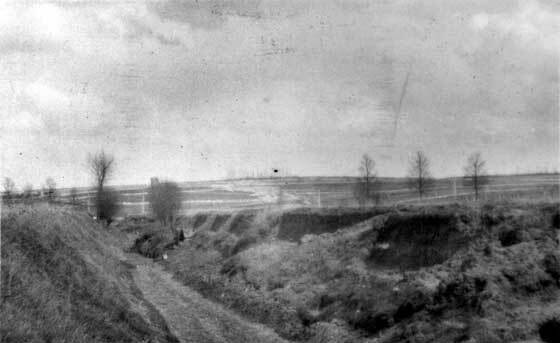 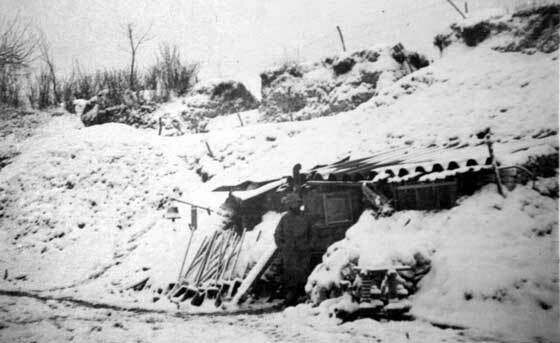 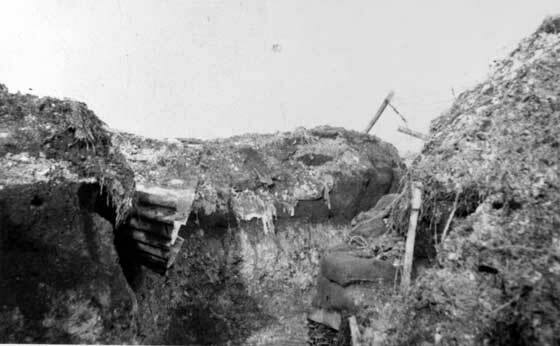 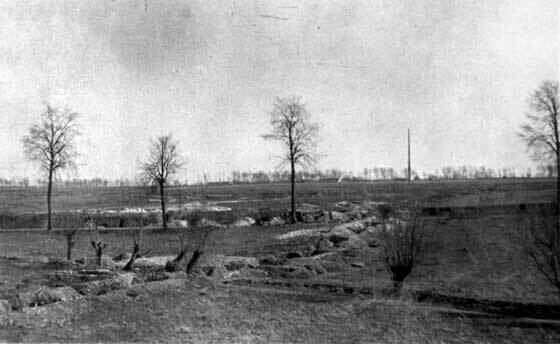 Headquarter Dugout at 'Sunken Road', winter 1915. 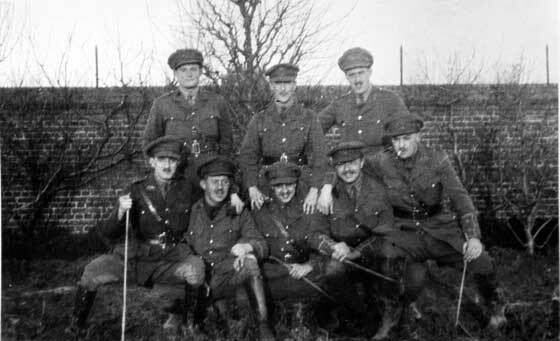 1st/5th Battalion, King's Own, at La Clyttle, 1915, including Private Omar Steel, sat up in the second row, first from the right. 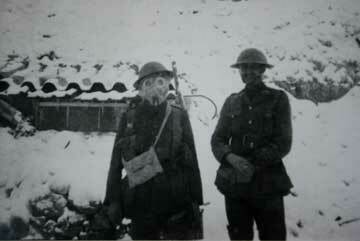 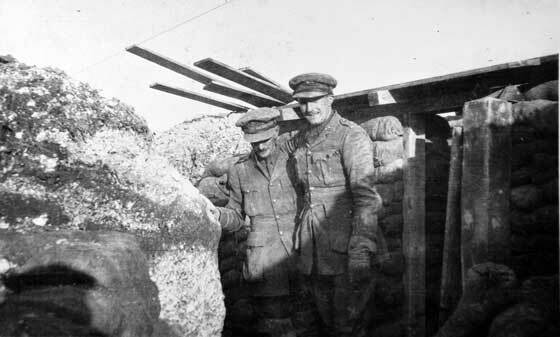 Captain Eaves and Captain Fawcett enjoy some 'time off' in the trenches near Kemmel, 1915. 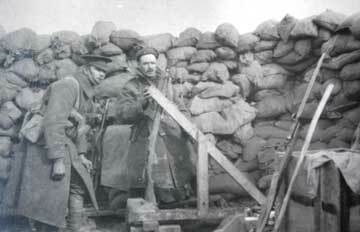 Firing rifle grenades, 1915. 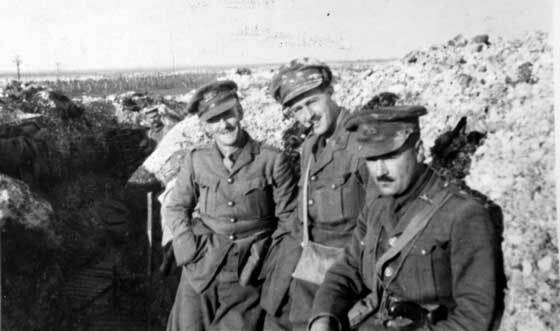 1st/5th Battalion, King's Own Royal Lancaster Regiment. 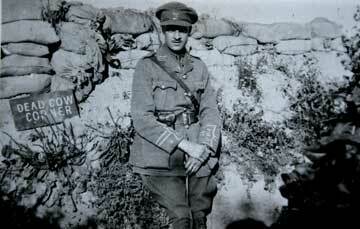 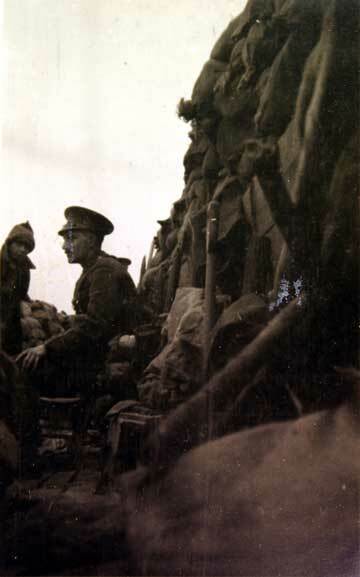 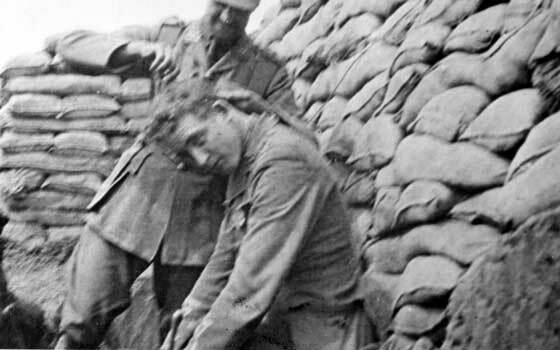 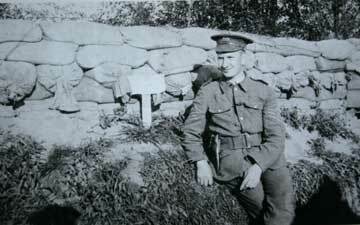 Captain Fawcett at 'Dead Cow Corner' via Gellia Trench, 1915. 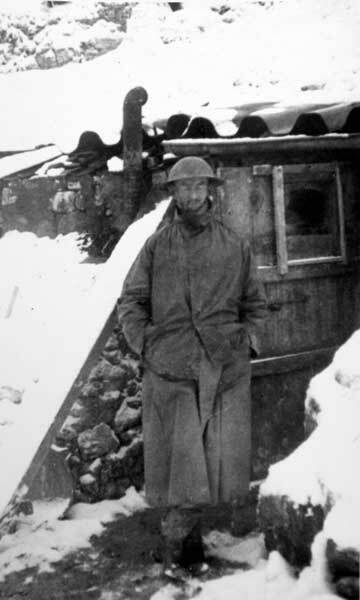 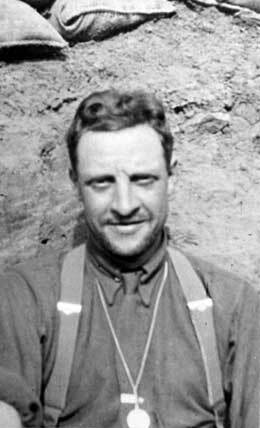 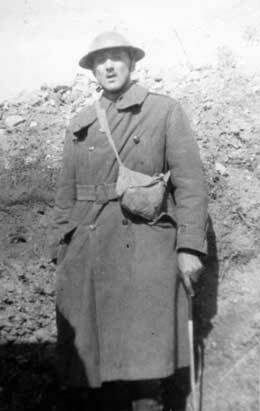 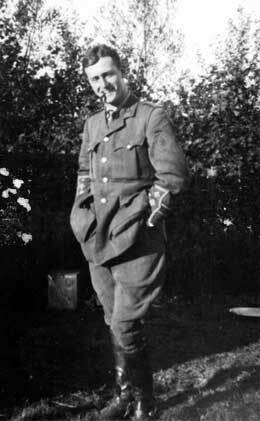 Sergeant Gill, from Morecambe, in the trenches near Gellia Communication Trench, 1915. 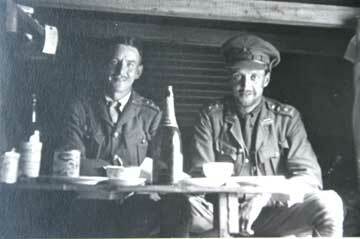 1st/5th Battalion, King's Own Royal Lancaster Regiment. 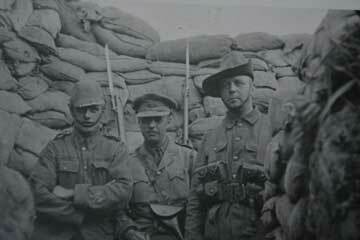 Three 1st/5th Battalion soldiers with some variation of headwear! 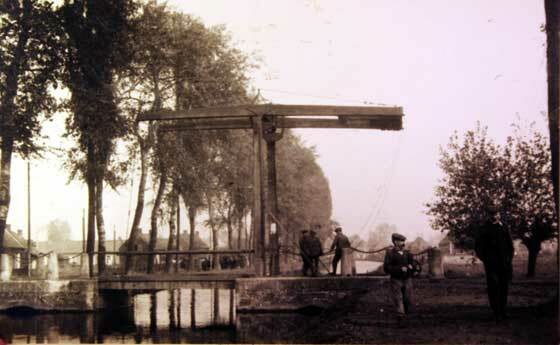 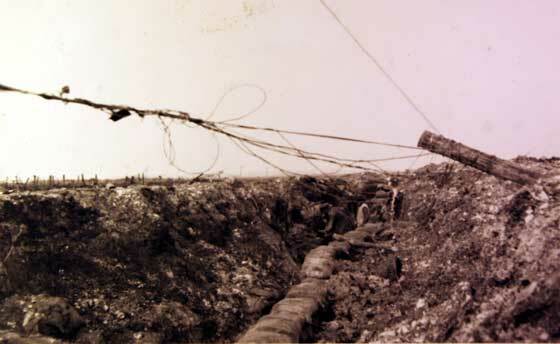 Trying to mend telephone wires, Loos September 1915. 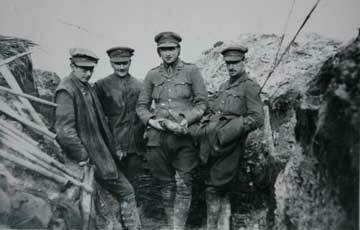 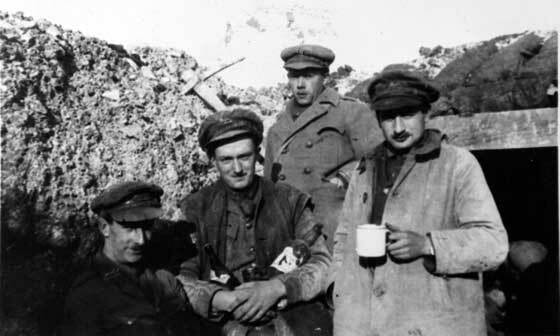 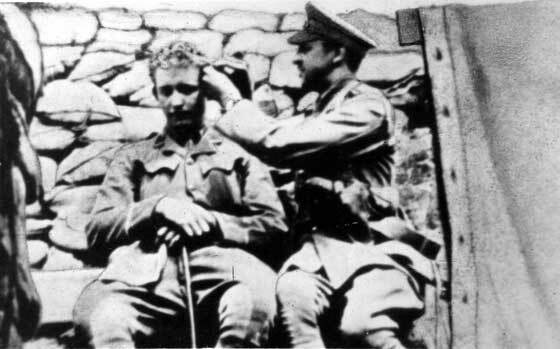 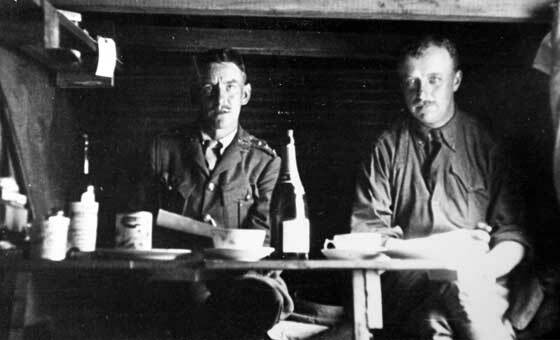 Left to right, Captain Owtram, Lieutenant Gilchrist, Captain Briggs and Lieutenant E R Simpson, at Loos, 1915. 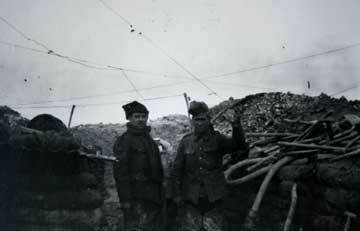 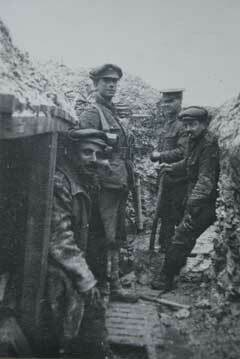 Private Carr, Private Thompson and Sergeant Clowes in the trenches at Loos, 1915. 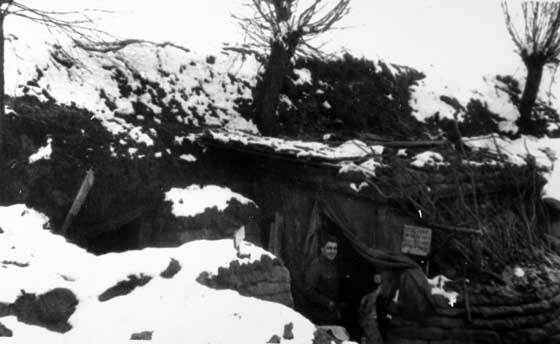 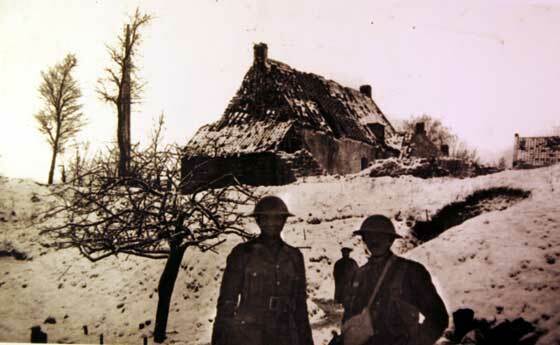 'A Happy house in the trenches, Loos, Winter 1915' is the handwritten caption written on the rear of the photograph. 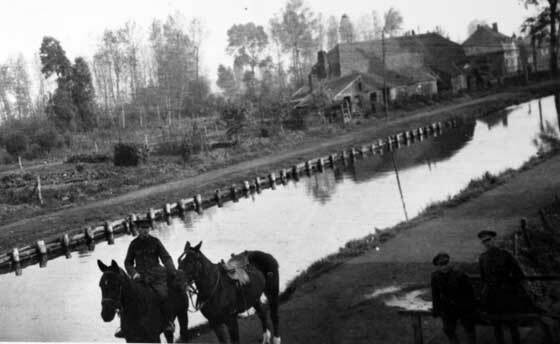 Photograph: 1st/5th King’s Own, 1915 Transport lines? 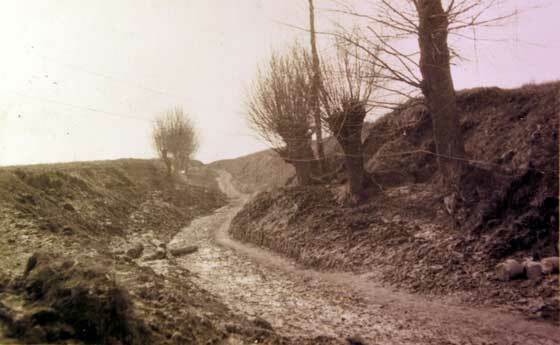 Transport lines of the 1st/5th Battalion, King's Own Royal Lancaster Regiment, 1915.